Lucian Ercolani, the founder of Ercol, came to London from his native Florence in 1894. After studying at the Shoreditch College of Furniture, he entered the manufacturing business of Furniture Industries Ltd. in 1920. The trade name of Ercol was adopted by the company in 1928. 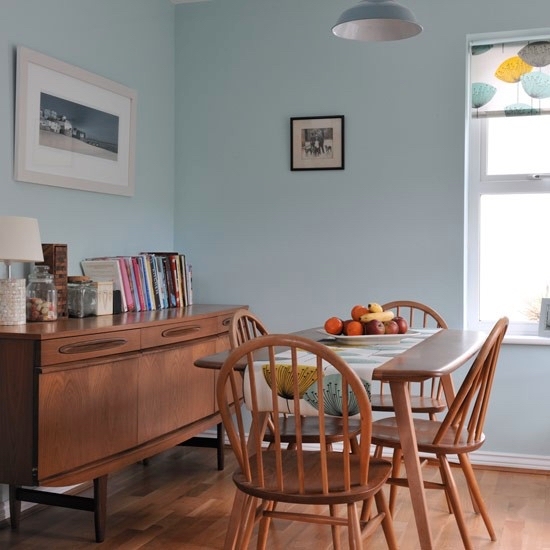 After the War, Ercolani started looking at the Windsor chair, a traditional icon of English vernacular furniture, and used this as the inspiration for Ercol’s Windsor range of furniture. The simplicity and honesty of the design appealed to him as well as the fact that the timbers used, beech and elm, were plentiful and easy to work. His take on the chair adapted the original patterns to mass production, whilst modernising the lines of the chairs and removing extraneous decoration. The range became hugely popular. In the mid 1950’s Ercolani started working on the Butterfly chair, then designated the ‘401 Preformed Chair’. Clearly influenced by the designs of Eames and others, the chair utilised a moulded elm veneered plywood seat and back, the first time Ercol had used such a technique. He combined this with the more traditional turned spindle Windsor style base and steam bent back supports. An important part of the design was that the legs passed through the seat, as in the vernacular Windsor chair. This makes for a very strong joint and an attractive design element. The combination of traditional and modern created a chair uniquely set apart from other modernist designs. Launched to the public in 1958, the chair achieved some popularity, but was dropped from the range by the 1980’s. In 2002, Margaret Howell was instrumental in reviving the chair and it is still in production today. We would like to say a big thank you to Edward Tadros, Lucian Ercolani’s grandson and Ercol Chairman, for his kind permission to use the design in our product. Above is the recent production Butterfly chair from the Ercol web site. We referred to an original vintage one from 1960’s, pictured below, for making this paper model, thus some little details can be slightly different. We referred to photographs of 1950’s – early 60’s British domestic interiors to recreate the background for the Butterfly chair. Partly as a result of the production costs of large pieces of glass being reduced, the glazed areas of window and door openings increased to bring maximum natural light into interiors. Brighter colours were used for walls and floors, also laminated boards brought freedom and variety in cabinet surfaces.